The theme for this event was Dying. 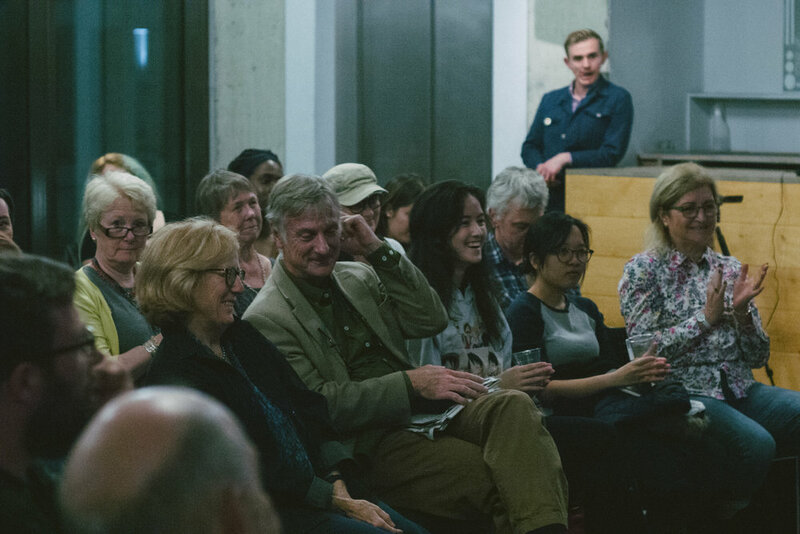 Each of the three speakers will respond as they see fit - with a new piece of literature or an informal talk, an academic lecture or a performance. They might shape a previous work to the theme or create brand new fiction, non-fiction, theatre or poetry. Their choice of medium is as creatively free as their choice of message. Each presentation will last around ten minutes followed by a short discussion and a Q&A with the audience. This event will be opened with the second launch of the first three pamphlets in the Writers' Centre Kingston Sampson Low series - new contemporary poetry by Kingston students. Future Dentist by Molly Bergin, Event Horizon by Zakia Carpenter-Hall and Soft Teeth by Dacy Lim will be available to purchase on the night. Scroll down for pictures by Alexander Kell and Madeleine Elliott, as well as videos of the talks and readings. 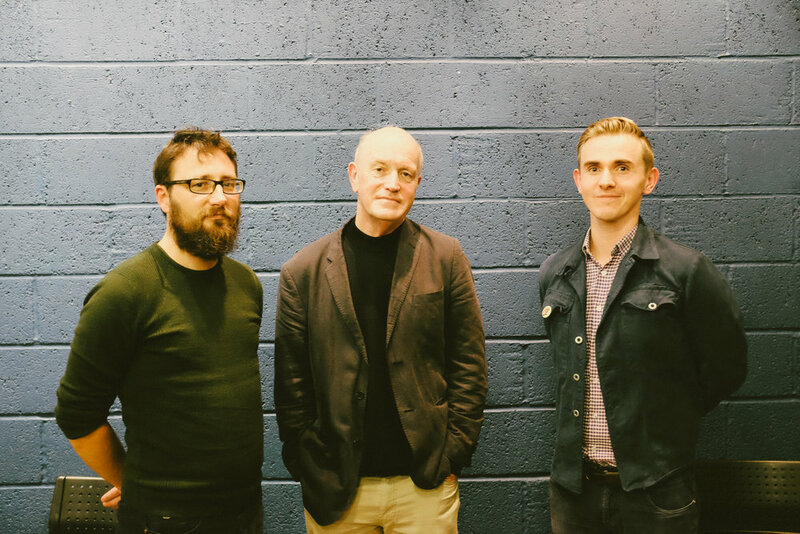 Iain Sinclair is a writer, filmmaker and ‘‘psychogeographer’ whose work and documentation of the borough of Hackney is unrivalled. Born in Cardiff in 1943, Iain moved to London in the 1960s after studying at Trinity College, Dublin, where he studied film. After starting his own small press at the beginning of the 1970s, Iain began to publish his own works of poetry and made a living by selling them to small independent bookshops dotted around the Capital.In the 1980s, inspired by the success of author Peter Ackroyd’s book ‘Hawksmoor’ for which he had conducted research for, Iain chose to try his luck with publishers as his literary ambitions grew. Books such as Downriver, Radon Daughters and Liquid City followed in the 1990s, but it wasn’t until 2002 with the publication of London Orbital that Iain’s devastatingly cutting and witty writing style was recognised on a larger scale. His journey around the Greater London parameters documented the change of focus from the centre of the capital to the outskirts, where gated communities and ever-changing landscapes were beginning to accommodate London’s expanding population. As a ‘psychogeographer’ and his urge to dig ever deeper into the psyche of the capital and Hackney, the place he still calls home, remain undiminished. Andrew Teverson is Head of the School of Arts, Culture and Communication, and Professor of English Literature at Kingston University. He researches primarily in the areas of folk narrative studies and international literatures in English. Recent publications include a two volume edition of the works of Andrew Lang (EUP, 2015) and Fairy Tale: New Critical Idiom (Routledge 2013). Currently he is completing an edition of the children’s fictions of Andrew Lang (EUP 2018) and an anthology of international writing about folk tales (Routledge 2018). Steven J Fowler is a writer and artist. He has published multiple collections of poetry and been commissioned by Tate Modern, BBC Radio 3, Tate Britain, the London Sinfonietta, Wellcome Collection and Liverpool Biennial. He has been longlisted for the Forward Prize and been sent to Peru, Bangladesh, Iraq, Argentina, Georgia and other destinations by the British Council. He has read at festivals including Hay on Wye, Cervantino in Mexico, Berlin Literature Festival and Hay Xalapa. He was nominated for the White Review prize for Fiction in 2014 and has won awards from Arts Council England, Jerwood Charitable Foundation, Creative Scotland, Arts Council Ireland and multiple other funding bodies. His plays have been produced at Rich Mix, where he is associate artist, and his visual art has been exhibited at the V&A, Hardy Tree Gallery and Mile End Art Pavilion. He’s been translated into 22 languages and produced collaborations with over 90 artists. He is the founder and curator of The Enemies Project, editor at 3am magazine, lecturer in creative writing at Kingston University, teaches at Tate Modern and is the director of Writers' Centre Kingston.